Joe “Murray” Rivers, Jr. and James J. Holmes. Lives of the Legends is a video documentary highlighting the lives of Joe “Murray” Rivers, Jr. and James J. Holmes. The premier showing will be held on Saturday, November 16, 2013 at the Savannah International Trade & Convention Center at 6pm. The evening will consist of a cocktail hour, video premier and dinner. The proceeds from this event will benefit the Frank Callen Boys & Girls Club and St. Benefit Old School Restoration. The tickets are $75 and can be purchased at 24E. Design Co., Lester’s Florist, Frank Callen Boys & girls Club and the Savannah Herald. Profile Of Joe Murray Rivers, Jr.
Joe Murray Rivers, Jr., has served as the District 2 representative on the Board of Commissioners of Chatham County since 1985. During his tenure, Mr. Rivers has become the Board’s acknowledged leader on public transit, health care for the poor, vocal proponent of increased minority participation in purchasing and in employment and supporter of minority and small business development. For his work on behalf of counties throughout Georgia, Mr. Rivers received the distinguished Emory Greene Award from the Association of County Commissioners of Georgia in recognition of his leadership on behalf of local government. Nowhere can his leadership be seen in more real results than in public transit. Mr. Rivers served as chairman of the Countywide Transit Task Force in 1985, which championed the restructuring of transit. He now serves on the Metropolitan Planning Organization, which sets planning policy for transportation in the community. Mr. Rivers, who served as Region III President in 1991-1992, also remains active in the national transit organization, COMTO. 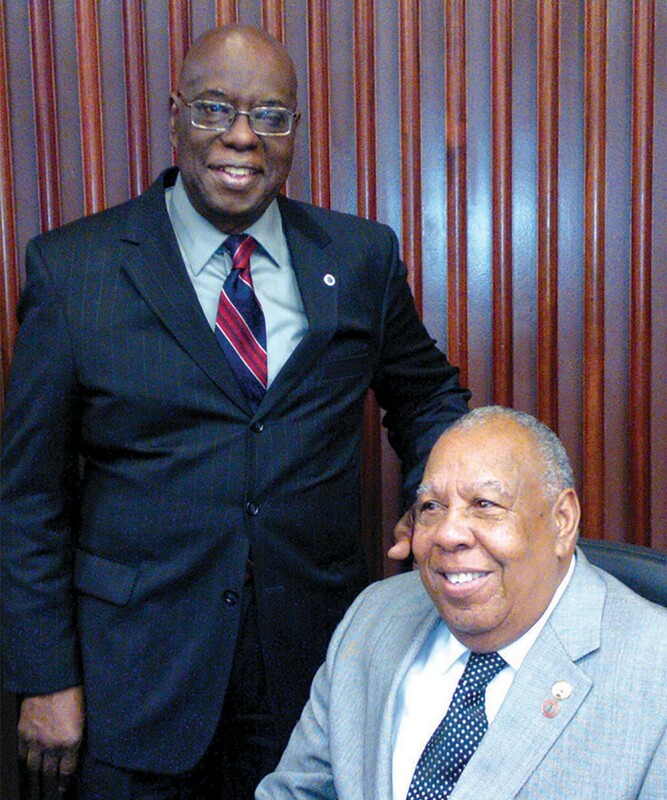 Mr. Rivers’ interest in health and indigent care prompted his service on the Chatham County Board of Health, which has expanded service in the inner city during his tenure through the Teen Clinic, Women’s Clinic and the Mid-Town Health Clinic. He helped to champion an innovative approach to indigent health, which led to the reopening of the Westside Urban Health Center in downtown Savannah. As a member of the State Mental Health/Mental Retardation/Substance Abuse Commission, he helped to restructure the delivery of these services statewide through the development and passage of HB 100. He serves on Georgia’s Homeless Trust Fund. Mr. Rivers has also remained active in the Association County Commissioners of Georgia (ACCG). In 1990- 1991, he served as chairman of the General Government Policy Committee and now serves on ACCG’s Transportation Policy Committee. Since 1991, he has served as a director on ACCG’s Board of Managers. On the national level, Mr. Rivers remains active in the National Association of Counties and served on the Board of Directors. He has served as chairman of NACo’s Housing Economic Development Steering Committee, chaired the Finance Inter-governmental Affairs Steering Committee, and the Maritime and Ports Task Force. Currently, he serves on NACo’s Deferred Compensation Advisory Board, 2003 APTA Nominating Committee, and is the vice chairman of the Programs and Services Committee. Because of his work on behalf of loans programs for small and minority business owners, he received a “Special Achievement Award” from the Coastal Area District Development Authority (CADDA). He also serves on CADDA’s Board of Directors. H ewasborninSavannah, Georgia and graduated from Beach High School. He also attended the U.S. Air Force Institute (University of Maryland), City College of New York and Savannah State University. Joe Rivers was one of the first African Americans to locate a business on Broughton St. It was called the Olympic Sports Shop, where you could purchase sporting items and your favorite album or 45rpm. Commissioner Holmes was elected to the Chatham County Commission in 2004 and is serving his third term as 2nd District Commissioner. James J. Holmes, a native Savannahian, is a graduate of Alfred E. Beach High School and attended Benedict College in Columbia, South Carolina. Commissioner Holmes, well known throughout the community as “Coach Holmes,” is a member of Saint Benedict the Moor Church where he serves on the Church Parish Council, the minister of Healing and Praise Team and the Youth Advisory Team. He is a dedicated and strong children’s advocate. His encouragement to youth to set goals and accomplish them and to do the best in all their endeavors were noticed by Mr. Walter B. Simmons. In 1960, Mr. Simmons chose James Holmes from the playgrounds of Crawford Square to join the staff of Frank Callen Boys Club. He worked as a game room keeper, group leader for junior boys and served as Physical Director and Program Director. Because of his commitment to the betterment of youth in the community, James Holmes, while employed by the Frank Callen Boys Club, was also employed by St. Pius High School as an assistant basketball coach and later became the head coach. He also was the assistant basketball coach at Savannah State College. J ames Holmes has and still is a member of several community organizations including the Crawford Square Redevelopment Planning Committee, Mother Matilda Beasley Park Planning and Development Committee and Vice President of the Soldier Field Softball League, just to mention a few.